'Magonians in the Pub' is a regular monthly lunchtime get-together for Magonia readers. 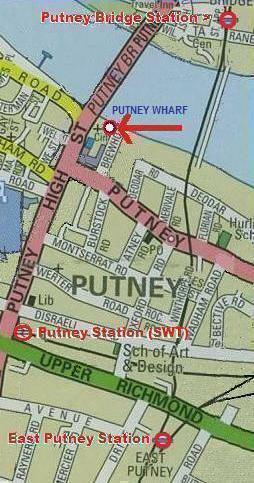 We meet at 'The Rocket' on Putney Wharf, next to the river by Putney Bridge (see map). There's no need to book in advance, just turn up at the pub from about 1.00pm onward and look for the table with strange and interesting books and magazines - and possibly strange and interesting people as well! Look for our feathered friend Pelly on the table! It's an informal gathering for conversation, gossip, news, views, exchanging books and magazines -- do you want to try your hand at reviewing a book for Magonia? -- a few drinks and a bite to eat in friendly company. The Rocket is a Wetherspoon's pub with a lovely riverside location; the prices are reasonable, there's no loud music, and food is available all day. The next Magonians in the Pub will be on Sunday 31st March.